IHG® Rewards Club - Movies - Barney: Ready, Set, Play! From their heads to their toes, Barney keeps kids moving as he shares the importance of activity and exercise for healthy growth. 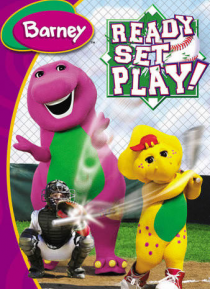 Whether walking, crawling, running or skipping, Barney's friends are getting in shape. And playing games adds to the fun of feeling fit! Feel hungry after exercising? Then munch on some crispy, crunchy food from Barney's healthy snack bar. Let the fun and games begin!